The Chiltern Hills run through the counties of Oxfordshire, Buckinghamshire, Bedfordshire and Hertfordshire and have been rightfully designated an Area of Outstanding Natural Beauty (AONB). The stretch of the Chiltern Hills that run through Bedfordshire are believed to be the delectable Mountains of Bunyan's 'Pilgrim's Progress'. 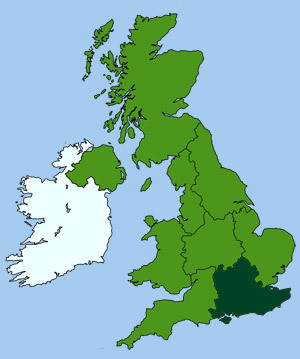 Access to the 'Chiltern Way', a meandering circular route that runs through the hills for 172 miles (275 km), can be found south of Dunstable on the Dunstable Downs. Parking (Free to NT Members) and route information is provided at the Chilterns Gateway Centre (Dunstable Road, Whipsnade, Dunstable, Bedfordshire, LU6 2GY). 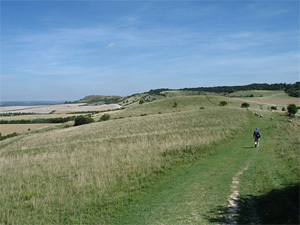 Other walks through the Chilterns include the Ridgeway (starting at Ivinghoe) and the Icknield Way Path. Located near Cardington Village, just south of Bedford, home of the Whitbread family of brewers. The two giant hangers were built in 1915 by the Short Brothers to manufacture and house large airships, that were once thought to be the future of commercial flying, prior to the great R101 disaster in October 1930. The Short Brothers also built a housing estate, opposite the site, named Shortstown. 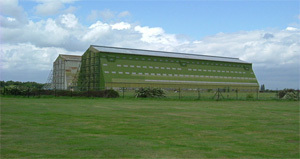 The site is not open to the public but the hangers can be viewed from the A600 near Shortstown. 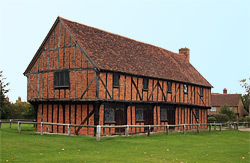 This ancient timber-framed market hall, located on the edge of Elstow village green, was once the meeting place of the followers of John Bunyan. It was originally built to serve the adjacent Elstow Abbey (of which only the church remains), and is now a museum filled with period furniture and interesting exhibits depicting life in 17th century England. The centre is home to one of the largest collections of birds of prey in the UK, housing over 200 birds, including various species of owls, hawks, eagles and falcons. 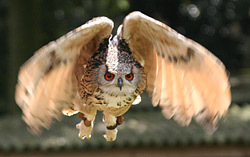 There are three flying displays daily; 11.30am - Owls of the world, 1.30pm - Birds of the world and 3.30pm - Birds of the world. Each display is different and lasts approximately 30 minutes. After the 11.30am and 3.30pm displays customers have the opportunity to handle a bird, take photos or ask the falconers any questions they may have. After the 1.30pm display customers are able to have a go at flying an owl or hawk. Facilities: Free car park, tea room, picnic area and gift shop. Said to be the inspiration for John Bunyan's 'House Beautiful' but is now just a forlorn ruin. 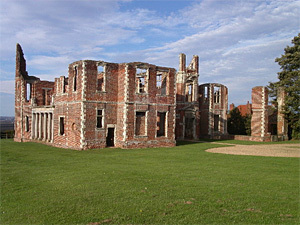 It was built in the 17th-c for Mary, Dowager Countess of Pembroke but was abandoned some 200 years ago. Run by English Heritage. Located on the banks of the beautiful River Ivel. 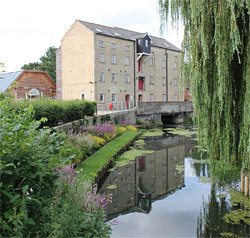 The family behind the Jordans Cereals brand has restored and preserved this grade listed Victorian mill, which has been in the family for over 150 years. The Flour Mill was revolutionary for its time and is a great example of the industrial revolution in action. Visitors can walk around the interpretation side of the mill and explore the riverside landscaped gardens. Facilities: Purpose-built visitor centre, Mill Shop & Riverside Cafe (serving locally-sourced food). 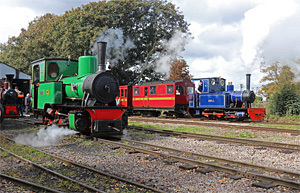 Visitors can enjoy a 70 minute journey on this fascinating light steam railway, running on tracks laid down in 1919, to transport sand and materials from local quarries. A regular steam passenger service is operated by volunteers and special events days are provided throughout the year. The Military Intelligence Museum exists to 'Share the Secret', bringing the shadowy world of military intelligence out into the open for everyone to see. Our displays cover the modern era, tracing our activities from the Boer War up to modern times. We are open to the public by appointment, and we offer guided tours around the museum or visitors are welcome to roam freely. The museum covers a wide range of important historical events, which the Intelligence Corps featured a major part in. Few people know that the Corps helped with the misdirection of information in WWII, making the Germans think that the Allies would be landing at Pas-de-Calais, rather than in Normandy! Intelligence played a big part during the major wars of the 20th Century, and still play a major role within the military today. 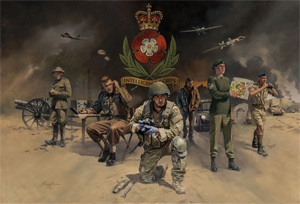 To book a visit please email intcorpshq-museum-mailbox@mod.gov.uk or call us on 01462 752896. A unique collection of over 50 historic aircraft, biplanes and Edwardian "Flying Machines", housed in the old hangars of a classic grass aerodrome, on the plains of Bedfordshire. 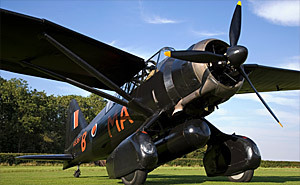 Many of the aircraft have been restored to working order and partake in regular flying displays during the summer months. Exhibits include a Bleriot XI and a WWII Spitfire. Other exhibits include vintage automobiles, tractors, carriages and cycles. This unique and beautiful nine-acre landscaped garden consists of fine lawns, sheltered by tall trees and under planted with mature shrubs. A waterfall of flowers can be seen in summer, and all year round interest is provided, with spring bulb displays, rhododendrons, camellias and other flowering shrubs. A myriad of gravel pathways wind through the trees and over quaint little bridges, across the ponds and streams, in this quintessentially romantic setting. 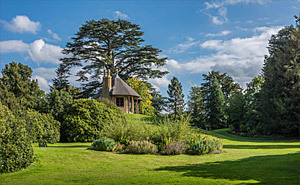 The garden contains many follies and statues, with a secret grotto in the centre and a Swiss style chalet rising above the evergreen shrubs and conifers. One of Britain's largest wildlife conservation parks and home to the Zoological Society of London. Set in 600 acres of beautiful parkland, amongst the rolling Chiltern Hills, the park is home to more than 2,500 rare and exotic animals, including may endangered species. 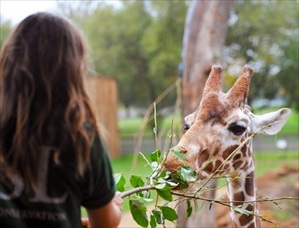 Visitors can walk around or take the Jumbo Express to see Lions, Cheetah, Meerkats, Antelope, Elephants, Rhino, Hippo, Giraffe, Zebra, Flamingos, Bears, Bison, Reindeer, Monkeys and much more. 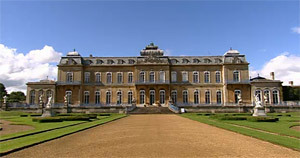 The ancestral seat of the Russell family since 1539, and later the Dukes of Bedford. The monastic-style buildings, set in a beautiful 3,000 acre deer park, were turned into a palatial country mansion in the 15th century. The Abbey is now open the public and boasts some of the finest collections of gold, silver and porcelain, plus a large art collection with paintings by Aelbert Jacobsz Cuyp, Canaletto, Gainsborough, Reynolds and Van Dyck. Enjoy a safari tour around one of the best Safari Parks in Britain and observe the beauty of wild animals in a more natural habitat from the safety of your own car. Attractions include a Foot Safari (walk through enclosure), Treetops Action Trail, Swan Boats, the Great Woburn Railway and an all weather indoor soft play area. 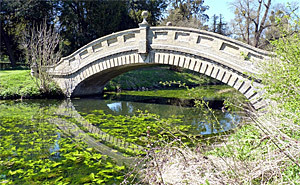 Fine architectural and historic gardens, representing 150 years of garden design. The formal layout is centred around an early 18th century pavilion designed by Thomas Archer. The gardens have been developed over the years with the addition of an Orangery, an Italian Garden and a Parterre, lined with impressive 19th century statues.